First Timothy 6:3-4a If anyone teaches a different doctrine and does not agree with the sound words of our Lord Jesus Christ and the teaching that accords with godliness, he is puffed up with conceit and understands nothing. The professor had a jar of sand, a jar of stones, and container of rocks. He asked a student to come forward and empty the contents into a jar not too much bigger than the ones already on the table. The student emptied the jar of sand into the jar and could then only empty about half of the stones into the jar. The professor asked the student if it was possible to fit the rest of the stones and the rocks into the jar. This question seemed ridiculous to all present and met with an emphatic and humoured "No!" The professor then placed on the table duplicate jars of sand and stones along with a duplicate empty jar. Instead of putting in the sand first, he placed the rocks into the empty jar. He then poured in all the stones. Giving the jar a tap he then poured in all the sand. The students were amazed. The professor then uttered these profound words: Always get the big rocks in the jar first! Jesus Christ said that the most important work of God a person can do is to believe in Him. Not do penance. Not make sacerdotal confession. Not meditate. Not fast. Not join a church. Just, believe right. What we believe can be of eternal consequence. What is believed is referred to as "doctrine". It is a person's doctrine that determines how they live. For example, with the exception of a certain man named Clark, if a person has a doctrine that flying bullets can not hurt them they will enter a war-zone differently than most soldiers. Similarly, if a person believes that God requires a person to add their own religious efforts to Christ's redeeming work, then they will serve God with a completely different heart and mind than the person who believes they can can add nothing to the salvation unfairly bestowed upon them by God. In the formative years of the church, the first sixteen centuries, the Church met in Councils to assess whether certain doctrines being introduced agreed with Scripture. Sometimes the governing bodies themselves were challenged by those who considered that they had veered from the teaching of Scripture. This is what happened during the period known as the Reformation. Beginning with John Wyclif who dared to make the Bible available to the common person by translating it into English, it continued with William Tyndale and culminated with Martin Luther. These men saw something in Scripture that led them to conclude that the Roman Catholic Church had gone beyond the pale of orthodox Biblical doctrine. This led several of the Reformers to write a systemised collection of Biblical doctrine where they pieced together what the revealed will of God in the Scriptures was for people seeking to please its Divine Author. One of the most prolific of these authors was Martin Luther. He wrote commentaries, polemics (long articles that defended a Biblical position), and several significant hymns. The other was John Calvin who wrote a four book set called The Institutes Of The Christian Religion (I recently went through a course of 28 lectures on 'The Institutes' from Covenant Seminary). These writers and Christian thinkers saw that the Bible provided certain essential doctrines that led to a sound faith and practice of that Christian faith. John Calvin was particularly interested in getting the order of these doctrines in a logical sequence. He saw that Scripture itself seemed to reveal certain doctrines in order and also stressed some as being more important for faith and practice than others. For example, at times Calvin says that there are some things Scripture is silent about and therefore the believer should not too be curious about those issues. 2. Man was created innocent but rebelled God created mankind in His image with the ability to choose good or evil, to respond to the Creator in voluntary love or to disobey and despise the Creator. God ordained that mankind would use his freedom to rebel and introduce sin into the human race. 3. God has provided redemption for mankind God redeemed an ethically distinct group, Israel, and His plan of redemption is largely about them. God established under the Old Covenant precursers to His Ultimate Redemption of people through Christ in the New Covenant. 4. This redemption is made available on the basis of God's grace We must choose to accept God's offer by turning from our sin, confessing Christ as Saviour and living a sanctified life. We are then made a child of God and assured of right standing before God for all eternity thus securing our home in heaven and the resurrection of the righteous. God must open the eyes of a sinner for them to be regenerated and call out to God for salvation and forgiveness from their sins. We can add nothing to the salvation of our souls that God hasn't already made available to believers through Christ's finished work of redemption. Our regeneration and adoption by God assures us that we will live with Him forever both in heaven and in the Resurrection. 5. God has revealed Himself and His will to mankind This is through nothing other than the Scriptures, the 66 Books of the Bible. Scripture is the only authority on earth for the believer. This is through the 'book' of nature (what God has created), the Canon of Scripture, and the person of Jesus Christ. Scripture is highest authority on earth for the believer. 6. God has sent His Holy Spirit into the world The extraordinary activity of the Holy Spirit such as miracles, signs and wonders including the charismatic gifts of First Corinthians 12 have ceased. The main role of the Holy Spirit today is conviction of sin and encouragement for faithfulness. There is however no subsequent experience to salvation with the Holy Spirit for the believer. The Holy Spirit is still active miraculously as God's grace directs including the spiritual gifts of tongues and prophecy and the like as mentioned in First Corinthians 12. He guides the believer, illuminates the Scriptures, and convicts the sinner. He also baptises the believer subsequent to regeneration that some believe is initially evidenced by speaking in tongues. 7. Jesus Christ will return This will be in two parts with the first being the rapture of the church and the second being His return to vanquish at Armageddon and set up his earthly kingdom ruling from Jerusalem. This will probably happen imminently. As the ancient creeds state, Jesus shall return to judge the living and the dead. But this could be a long way off into the future so in the meantime while we look forward to His return we do not make ourselves idle but rather we labour to extend His Kingdom while we wait. 8. Christ has established the Church All believers must belong to a church for their faith in Christ to be regarded as genuine. All believers are baptised into the Body of Christ at their conversion and are called to come together as a prayerful, Word-based, Spirit-led community of Christ glorifiers who freely submit to the God appointed leadership that Christ has ordained to provide oversight and care. Within our church we probably have views on these doctrines that fall between the acceptable pale of orthodoxy. Our doctrinal objective is not merely Scriptural precision but Scriptural practice. We want to live out the freedom that comes from pleasing God through right belief. These 8 doctrines are what we might consider "big rocks": God is Creator / Man was created free and good / Man fell / God has redeemed through Christ / God has revealed these things through the uniquely authoritative Scriptures / The Holy Spirit empowers the believer and convicts the world at times through signs and wonders / Jesus Christ is Lord of LORDS and will one day return / Christ has established His Church for the growth and care of the believer. By getting the big rocks of belief into the jar of our heart-mind we are better able to do the work that the Father requires of us- to believe in His Son for our salvation. The other things, well they might just be sand that will find their place among the rocks. The trick is to love your brother and fellowship with him despite the grit of this left-over sand between you. God is... How would you complete this sentence? On what basis would you know how to complete this sentence? How would others who do not really know God answer this question? The other day I was contacted by an emailer who challenged my belief in the Biblical God. He intimated that the God of the Bible is a cruel and harsh God. He asked me why this God of the Bible would send "billions of [innocent] people to be tormented in Hell for eternity"? When I hear a question like this, I have to wonder where did this person get this idea from? Not only does the Bible present God as all-wise, all-loving, all-powerful, all-present, but I have come to experience enough of these attributes of God to know them to be true. While we live on this earth we are all candidates for God's mercy and forgiveness. Added to this, God ensures that every person receives sufficient revelation of who He is to begin a relationship with Him (Romans 1). But we know that God is a just and fair God. He will not violate a person's right to exist (since they are created in the image of God) thus, the choices a person makes in this life will be be validated for eternity. The stern warning of Jesus Christ to the world was that unless a person repents, they will "perish" for eternity (Lk. 13:1ff). Rather than obstinately telling God that this is "unfair", we should instead be thanking God that He has made it possible for any one of us to be forgiven of our sin and to be adopted into His family as a joint-heir with Christ! This is the God we are coming to know. A God who has revealed himself in the Book of nature and the Sacred Book of Scripture. It is this God who sent His eternal Son to the world to reveal to us the most complete image of God we will have in this lifetime. Once a person experiences this God through revelation (Eph. 1:18), prayerful communion, a community of grace, and the living Word of God they can confidently say that they know who God is. Father, we want to know you more. Help us to know you. Help us to make you known. Teach us Your ways and give us the grace to follow You. "...even some of your own poets have said..."
Avatar. This movie stars Sam Worthington and Sigourney Weaver. It is perhaps the greatest demonstration of computer generated graphics the world has ever seen. It explores an intriguing science-fiction idea of merging human consciousness with a created life-form. It has a message which is hyper-politically correct and exaggerates all that is stereotypically bad in human endeavour, foresters, miners, and colonisers. It champions betrayal and pantheism (that everything is God), but decries the deficiencies of human biological design. 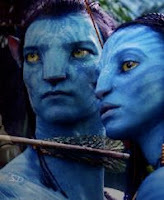 It has a very predictable ending and the movie caps off its pantheistic worldview by virtually reincarnating the hero. Lesson: Stereotypes are however not always an accurate way of forming an opinion about someone. Sherlock Holmes. This movie stars Robert Downey Junior and Jude Law. I am actually a bit of a Sherlock Holmes fan. But this movie is about a desperately depressed hero who finds solace in his solitude and eccentricity. He revels in ungloved boxing for sport and supports a gambling addicted side-kick. Sherlock Holmes purists will find this movie slightly unrecognisable. But putting that aside, it is a story of a brilliant man who is so bored with being a genuis that he explores other interests such as solving crimes, disguising himself and figuring out how to overcome larger and stronger opponents. He uses his abilities as a scientist to debunk what appears to be a series of supernatural events. Lesson: There is a powerful message in this movie about the uniqueness of Christ's resurrection and the utter implausibility for it to be anything other than unique. Vantage Point. This movie stars Dennis Quaid, Matthew Fox, Forest Whitaker, Sigourney Weaver, William Hurt, and Saïd Taghmaoui. One of the cleverest movies I've seen. It's a very simple plot but with more twists than an Afghan rug. Lesson: Proverbs says that the first one to speak seems right until another states his case. The clear Biblical lesson from this movie is that we should not be too qick to jump to conclusions until we have gathered all the facts. The Prestige. This movie stars Hugh Jackman, Michael Cain, and Christian Bale. It is about a feud that gets dark between two magicians. It incorporates a fictional story with actual historical characters. It explores the bounds between conjuring, wizardry and science. Lesson: If we are just the sum of our material make-up - that is, if we are not also spiritual beings, there are no rights and wrongs. UP. This is an animated movie. I loved this movie. Its the story of an awkward boy who grows into an old and sad man who ever pursued his childhood dream. Lesson: Don't settle for a life of mediocrity. Pursue your dreams and never give up. Take the time to get to truly know someone. TINKERBELL. This is an animated movie. It is the prequel to the Peter Pan story. Well done Disney! Lesson: God has given us gifts, abilities, and opportunities that we should be thankful for and use for His glory. Paul the apostle often cited and quoted the poets of his day when he illustrated his sermons to his audiences. In Acts 17:28 he does this. The next time you watch a movie look for a redemptive illustration that you might be able to use when you witness to someone about your faith in Christ. Lord, I pray that you would help us to sow the Gospel Seed more frequently, widely, and appropriately. May our witness provoke people to ponder the condition of their soul and their dire need for You. Help us to use movies, books, and songs that our culture know to illiustrate Your truth. 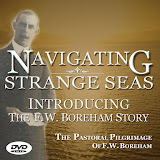 This is a copy of Disc 1 of our new 2-Disc Set on Understanding The Book of Revelation. It shows why most popular "Bible Prophecy" teachers nearly always get it wrong when it comes to interpreting the Book of Revelation. In fact, their speculation about Bible Prophecy has led to much embarrassment. Understand The Book of Revelation from Andrew Corbett on Vimeo. 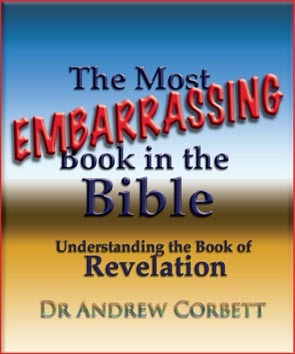 You can read my explanation of the Book of Revelation in my eBook THE MOST EMBARRASSING BOOK IN THE BIBLE. In this eBook I take the reader through the entire Book of Revelation and show that by following the ordinary principles of Biblical interpretation and doing sound exegesis we can discover that the Book of Revelation was written to 7 churches around 65AD. By understanding this we can avoid silly speculation which tries to force the Sacred Text to say something that it was never intended to say. Read the Book of Revelation exegetically, and you won't find a Rapture, a Tribulation to come, a one world government, or a future global Anti-Christ! In the classic Christian tale, Charlotte's Web, Mrs Arable is concerned about her daughter, Fern, becoming too attached to a runt pig who is destined to be butchered. This concern culminates in them going to see a doctor after a spider named Charlotte wrote the words "SOME PIG" in a web over the barn door. Mrs Arable protests to the psychologist that people are calling this a "miracle". "You don’t think it is?" the psychologist asks. "The web itself is a miracle, don’t you agree? Can you spin a web?" Mrs Arable replies that she can crochet a doily. The doctor points out that she was taught to and continues, "Nobody teaches a spider how to spin a web. That’s a miracle." Mr Arable agrees with the doctor and says, "A miracle in a time when we don’t see too many miraculous things. Or maybe we do. Maybe they’re all around us and we just don’t know where to look." But there is something rather spectacular, not ordinary, not naturally occuring that the Bible specifically calls a "miracle". Miracles followed Jesus. Miracles followed the apostles. Miracles accompanied many of the great outpourings in history. Missionaries often bring back reports of extraordinary miracles. Jesus told His followers that miracles would accompany their preaching (Mark 16:17-18) So why aren't we seeing miracles everytime we pray? I guess there's three responses to this apparent dillemma. Firstly, we could dismiss the possibility of miracles for today. This is called Cessationism. Secondly, we could take a Word-of-Faith position and claim that miracles will always happen if we get the faith-formula right. Thirdly, we could adopt what I'm calling a "Sovereign Grace" position where we regard miracles as still possible and given as acts of God's wisdom and grace. First Corinthians 12:29 Are all apostles? Are all prophets? Are all teachers? Do all work miracles? The Cessationist view regards miracles as having occured at any extraordinary time for the purpose of establishing the New Covenant. According to this view, miracles ceased the New Testament was completed since the New Testament became the basis of the New Covenant. This idea is based on a reference in First Corinthians 13 which says that when the perfect has come that which is imperfect, such as miracles, will be done away with (1Cor. 13:10). But upon closer examination of that text it seems that it is refering to the Final Resurrection ("that which is perfect") not the formation of the New Testament Canon (the completion and compilation of the 27 books of the New Testament). This is supported by the context of First Corinthians which goes on in chapter 15 to discuss the Final Resurrection. Besides this, a strong case can be made from history for divine miracles continuing to occur long after the New Testament was compiled. The New Testament teaches that faith is essential to the outworking of miracles. "All things are possible to those who believe" Jesus taught. "Ask and you shall receive" He also said. Based on these and other references, "Word of Faith" teachers promote the idea that if we have sufficient faith we can always see miracles because we have a legal right to the promises of God for such. When you combine faith with the promises of Scripture you have, one Word of Faith preacher taught, "mandated results". When the promised miracles do not occur there are range of reasons offered by Word-of-Faith teachers which include: "lack of faith" on the part of the prayed for, "sin" in the life of the prayed for, unforgiveness, bitterness, having a grandfather's nextdoor neighbour's best-friend's milkman who was a Free-Mason, or the most often used one~ confess that you have it even though you don't. The Scriptures do not teach that miracles occur because someone used "the law of faith" or got "the faith formula" right. Associated with this view is the Pentecostal idea of "Healing in the Atonement" which teaches that Christ died on the Cross for our sins and sicknesses. This is based on Scriptures which refer to Christ's "stripes" bringing healing and how He "bore our sicknesses". But the context of both the Isaiah prophecy and Peter's citation of it is not physical healing but spiritual healing (salvation). The Atonement brings salvation from sin, not physical healing. Physical healing comes from God as an act of His Sovereign Grace. The Sovereign Grace view of miracles regards miracles as an act of God's grace which He wisely bestows appropriately ("sovereignly"). In this view, miracles still happen. We can ask God for them - but we don't deserve them - hence they are an act of God's sovereign grace. And it seems that God is more likely to work miracles when it is appropriate. That is, when there is deep spiritual activity (both good and bad) God seems to work miracles. Dr Hugh Ross, President of Reasons To Believe, points out that where Christianity is in hostile territory God most usually supports the preaching of the Gospel with miracles. Dr Ross asserts that the greater the opposition to Chrisitianity from spiritual opponents the clearer the miraculous from God is. He cites foreign missions' examples where dominant religions of witchcraft and animism have held sway over the population through occult activity such as fortune-telling, healing, para-normal activity, levitation, voices, visions and trances, that Christian missionaries often find their prayers dramatically answered. Dr Ross's theory is interesting and seems to fit what we see in Scripture, history, and the mission field today. He offers the following advice for those Western Christians craving an increase in regular miraculous activity- Be prepared for steep increased spiritual opposition within your church! He offers the opinion that if a church is seeing frequent miracles they need to be very careful about what else is going on in the spiritual realm. Why no miracles today? The question is ill-informed. There are miracles happening today. We Western Christians are too narrow in what we classify as "a miracle" and perhaps too star-struck by the spectacular displays of God's grace in foreign fields. Having recently returned from India where we heard amazing testimonies of resurrections, death-bed healings, village-wide visions and the like, it is all too tempting to wonder why we don't experience similar here in the West. But I then am reminded that these Indian Missionaries are beaten, killed, slandered, driven out of villages by militant Hindus, and have to "compete" with the dubious occult activity of certain gurus. Meanwhile in the West, our concept of "persecution" is generally pathetic in comparison. But even still, the miracle working power of God in the midst of rampant materialism is still taking place all around us. People are being miraculously saved and delivered from sin. People are being healed and physically sustained in the midst of life-threatening conditions. People are being blessed with Goshen-like provision. Miracles are happening! Lord, we pray that You will meet people's needs with miraculous provision. Please heal the sick. Please deliver the oppressed. Please provide for those in need. Help us to be like Shadrach, Meshach, and Abed-nego who knew the secret of trusting the God of Miracles even when He doesn't answer with miracles.